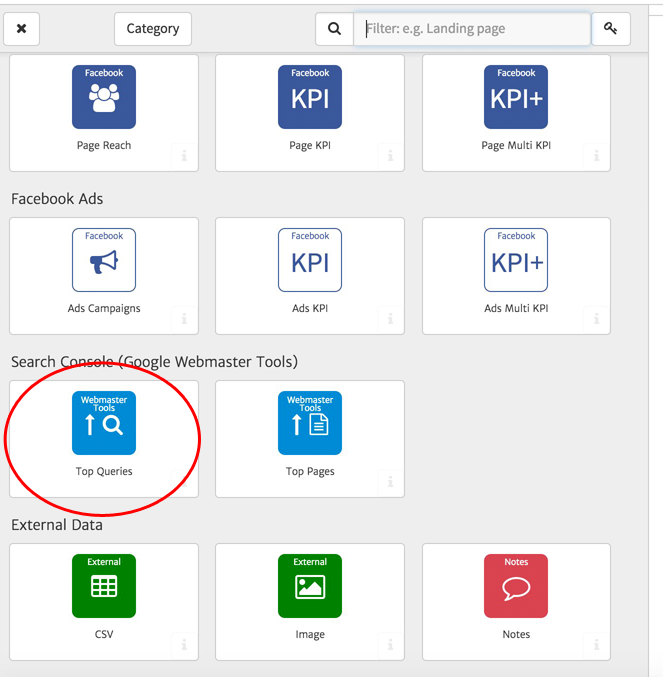 The Top Queries Widget can be found in the Search Console (Google Webmaster Tools) section of the widget library. It pulls data from Google Search Console and is most commonly used to show the top queries (keywords) that are sending traffic to your website. This widget can also be used to show how keyword rankings (average position) change over time.